Alabama is home to more than 550 bioscience companies, and more than 10,000 Alabamians work in biosciences. 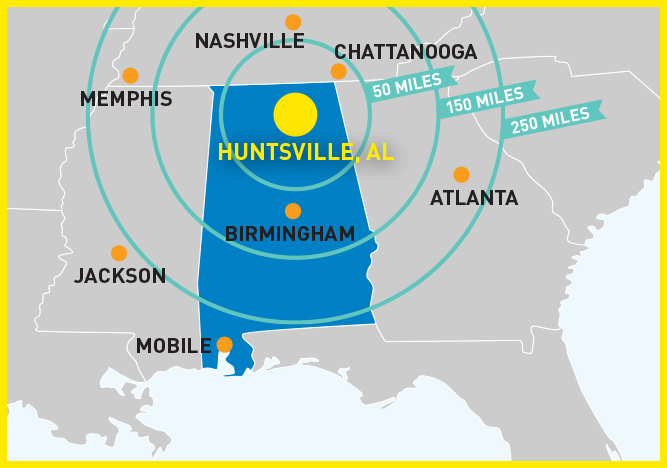 Huntsville plays a pivotal role in fueling Alabama’s growing reputation as the “Biotech hub of the Southeast.” For decades, Huntsville has been home to pioneers in Defense and Aerospace, like Boeing and Northrop Grumman, and engineering companies like Adtran. Today, the Rocket City is emerging as a pacesetter for biotech as well. 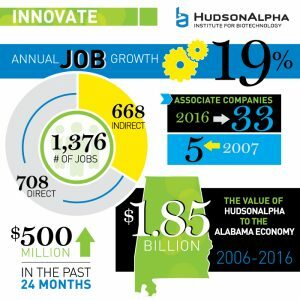 Since 2006, HudsonAlpha alone has generated more than $1.85 billion in economic impact for the state of Alabama, and generated more than 1,300 jobs (direct and multiplier), according to a recent impact analysis study conducted by the University of Alabama in Huntsville. Alabama’s competitive cost structure and the growing ranks of a skilled, biotech-literate labor pool are not only a dynamic combination, but also the foundation for success for industry leaders seeking to relocate, expand, or open new doors. Asset-rich, pro-business Alabama sits in the cradle of the Biotech Corridor, making it a gateway state for domestic and international interests seeking new markets. Incentives packages, customized training, and support services are available at the state and local level, as well as unique assistance for start-ups. BioAlabama, the state affiliate of the Biotechnology Industry Organization (BIO), works to attract new biotech firms to Alabama and to raise public awareness and funding for new life-saving scientific discoveries. Through collaboration with BioAlabama, HudsonAlpha is able to promote favorable biotech legislation, deepening industry roots statewide. Visit www.bioalabama.com to learn more about how this statewide organization represents Alabama’s bio-related industries, research scientists, clinicians, and business professionals. The 152-acre HudsonAlpha Biotechnology campus is located in Cummings Research Park, the second-largest research park in the U.S., and the fourth largest research park in the world. Home to more than 300 companies and 30,000 employees, Cummings Research Park co-locates Fortune 500 companies with local and international business specializing in a wide range of high-tech industries. 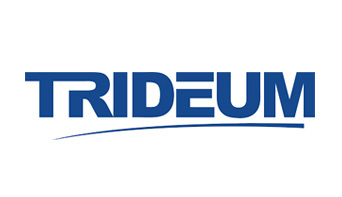 From Boeing and Northrop Grumman in aerospace and defense, to companies like Adtran in the engineering and information technology industry, Cummings Research Park is a place that transforms research into business success. For more than 50 years, Huntsville has applied expertise to aviation and missiles at the U.S. Army’s Redstone Arsenal. Scientists and Engineers in Huntsville have launched rockets into low Earth orbit, landed men on the moon, and sent information-seeking probes into deep space. 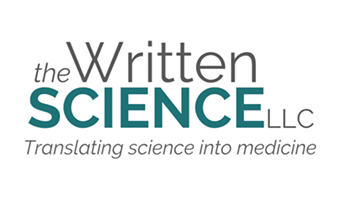 This culture of science and innovation has supported a community comprised of highly-skilled, intelligent individuals who are eager to apply their knowledge toward tangible benefits, not just in aerospace and defense, but biotech as well. The same drive and ingenuity that accomplished great feats for NASA and the Army is now being applied toward using biotechnology to change the way we approach health and disease. The Huntsville metro area has the highest per capita concentration of engineers and technology workers in the country, and more than half of Huntsville area residents have degrees in engineering and science-related fields. 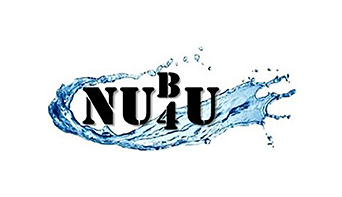 The colleges and universities in Huntsville and the surrounding areas offer two-year, four-year and advanced degrees in the biosciences and related fields. As a “right to work” state, Alabama’s workforce recruitment efforts promote economic growth by offering customized training and support services for new and expanding businesses. Furthermore, Alabama’s nationally recognized workforce recruitment and training program is one of the top five workforce training agencies in the United States. 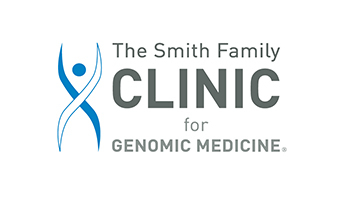 Led by Dr. Neil Lamb, HudsonAlpha’s Educational Outreach team takes a leading role in inspiring and preparing society to apply genomic information to healthcare and agriculture. The Educational Outreach team’s programs are designed to help grow the number of biosciences-literate people entering the workforce, many of whom will take their place among future life science companies. Aspiring scientists receive training through hands-on classroom modules, digital learning materials, and in-depth school and summer camp experiences for students. Alabama is committed to the promotion and maintenance of a competitive business climate. The state has developed one of the most aggressive tax incentive programs in the nation for new and expanding industry. The Department of Revenue administers several tax incentives for existing industries, expanding industries and new industries locating to Alabama. Alabama tax incentives are created and administered under the Alabama Constitution of 1901 and the Code of Alabama 1975. The statutory basis for Alabama tax incentives gives industry a stable framework for long-term investment. To learn more, click here. Connect with our team to get started with your personal guide to incentives. Power in Huntsville and the surrounding seven-state region is provided by Tennessee Valley Authority, the largest government-owned power provider in the U.S. TVA delivers reliable, competitively priced electricity to homes and businesses at an average retail price that ranks 39th lowest among the nation’s 100 largest utilities. Additionally, TVA invests in communities and businesses to foster job growth and retention with financial and technical assistance, economic development incentives, and a multimillion dollar revolving loan program, designed to stimulate investment and job creation in the TVA region. 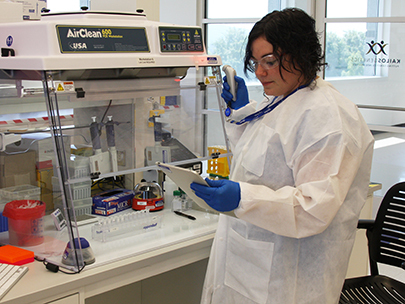 HudsonAlpha has a close relationship with TVA, and energy-saving components at the Institute reduce energy and water consumption by 25% (compared to typical lab facilities). You are welcome! Nestled between the Tennessee River and the Appalachian Mountains, Huntsville and the greater Tennessee Valley community welcomes people from all over the world in its varied terrain of mountains and valleys. 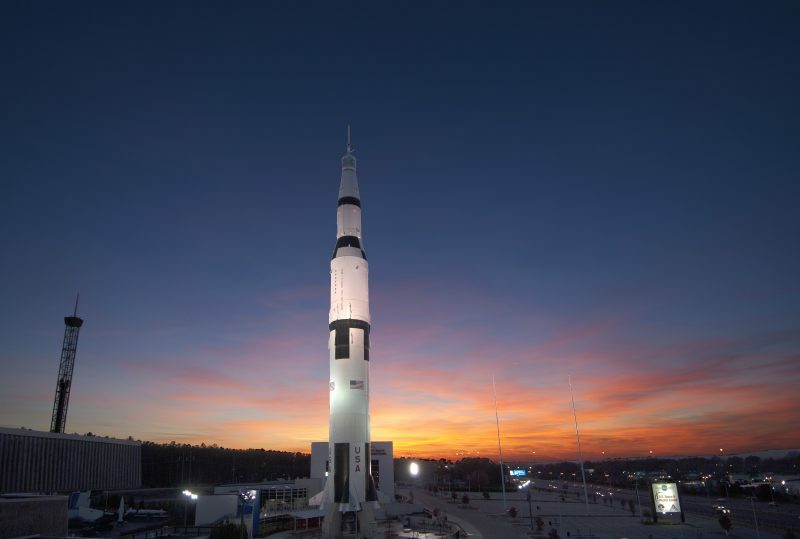 Huntsville is home to Redstone Arsenal and NASA’s Marshall Space Flight Center, along with Space Camp. Abounding beauty and an excellent quality of life make Huntsville a great place to raise a family. 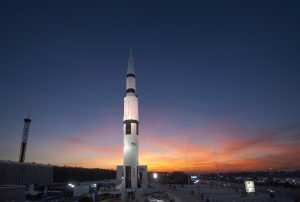 Fun activities, fresh air and education can all be found in the Rocket City. According to Southern Living Magazine, “Huntsville has one of the most favorable salary-to-cost-of-living ratios in the Southeast”. Balmy days almost year-round and an attractive cost-of-living index combined with a diverse culture make Huntsville, AL a prime spot for those seeking to relocate. Huntsville is located at the heart of the Tennessee Valley, and features the best of the region’s fertile offerings. Mountains, lakes, and woodlands provide outdoor enthusiasts with abundant prospects, while the metro area houses universities, great local restaurants, a thriving arts community, churches, and attractions such as the U.S. Space and Rocket Center. 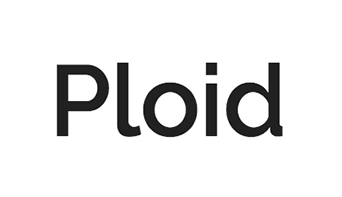 Starting in or moving to a biotech hub means that the team supporting your business understands needs of commercialization and growth of bioscience companies. The State of Alabama, North Alabama, Madison County, Huntsville, and Cummings Research Park all work with HudsonAlpha to support and attract a variety of bioscience companies. Rent conference, event and meeting space at the Jackson Center located on the HudsonAlpha campus.